Range Rover has big plans for their baby SUV. 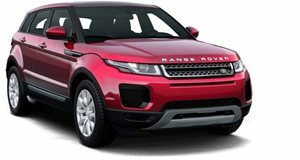 Land Rover, according to a report by AutoExpressUK, is planning on rolling out a faster and sportier version of their much-lauded, highly successful Range Rover Evoque SUV. The Motor Trend SUV of the Year winner will be getting an Evoque Sport edition, perfect they say for competing with the recently-unveiled RS Q3 SUV concept. "You can go too far with the Evoque, but what&apos;s so right about the car is it has what I call killer proportions," design director Gerry McGovern told the UK auto mag in Beijing. "For the moment, we&apos;re looking at the cabriolet and special editions - we could do a more overtly sporty one, for example." The company was in Beijing to show off a new special edition Evoque, developed in conjunction with British celebrity and former Spice Girl Victoria Beckham. The new Evoque Sport could rival the attention that the former special edition had received, as its current 2.0-liter turbocharged 4-cylinder could be tweaked for well over 240hp. A performance diesel is also in contention for the Evoque Sport, most likely being a 2.2-liter SD4 plant tuned up from 190hp to 210hp. Keeping in line with former Range Rover Sport models, we expect to see a new bodykit, bigger wheels and brakes, improved handling and a sports suspension for a lower ride height. With 80 percent of Evoque buyers new to the Land Rover brand, the Brits feel they have plenty of flexibility in terms of special editions and new trims.